I N F R A K S H U N: Why is a Western hate campaign being waged against Muslims? Why are Muslims increasingly categorized as terrorists? Why is this hate campaign part of the US presidential election campaign? Why is Donald Trump calling for police state measures directed against American Muslims? Why are Muslims the object of ethnic profiling and job discrimination? Why has France's president Francois Hollande suspended civil rights coupled with a hate campaign directed against France's Muslims, which represent 7.5 percent of the country's population? Why is the West waging a war against Muslim countries? Why is Islam regarded as evil? The answer to all these questions is both simple and complex. It just so happens that more than 60% of the World's reserves of crude oil lie in Muslim lands. Muslims are the inhabitants of the countries which possess the oil. And America's imperial agenda consists in acquiring ownership and control over the World's oil reserves. If these lands had been inhabited by Buddhists, Western politicians - with the support of the mainstream media - would be demonizing the Buddhists. Muslim countries including Saudi Arabia, Iraq, Iran, Kuwait, the United Arab Emirates, Qatar, Yemen, Libya, Nigeria, Egypt, Algeria, Kazakhstan, Azerbaijan, Malaysia, Indonesia, Brunei, possess more than 60 percent of the World's crude oil reserves. With regard to conventional crude oil (excluding tar sands in Venezuela and Canada), the percentage of global (conventional crude) oil reserves in Muslim countries is much larger. Countries which possess large reserves of crude oil are slated for destabilization. More than 50 percent of the World's crude oil reserves lies between the tip of the Arabian peninsula and the Caspian Sea basin: Yemen, Saudi Arabia, UAE, Kuwait, Qatar, Iran, Iraq, Syria, Azerbaijan. The above region is America's war theater. That is where the battle for oil under the banner of the "war on terrorism" is being fought. Those are the Muslim lands which have been slated for conquest or regime change. Saudi Arabia and the Persian Gulf monarchies and emirates are US proxy states, firmly under US control. The collective demonization of Muslims, including the vilification of the tenets of Islam, applied Worldwide, constitutes at an ideological level, an instrument of conquest of the World's energy resources. It is part of the broader economic, political mechanisms underlying the New World Order. This vilification is carried out by actually creating terrorist organizations integrated by Muslims, as part of a longstanding intelligence operation going back to the Soviet-Afghan war. Al Qaeda and its affiliated organizations are creations of the CIA. They are not the product of Muslim society. 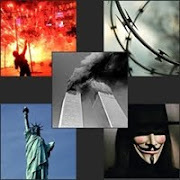 Terrorist attacks are undertaken by jihadist entities which are CIA intelligence assets. The Islamic State (ISIS) is an intelligence construct which is used essentially for two related purposes. 1. They are the foot soldiers of the Western military alliance, the instruments of destabilization, recruited, trained, financed by the Western military alliance. The various al Qaeda entities are the instruments of destabilization in US-NATO sponsored proxy wars (AQIM in Mali, Boko Haram in Nigeria, ISIS in Syria and Iraq). At the same time, they constitute a pretext and a justification to intervene under the banner of a "counter-terrorism" bombing campaign. 2. On the home front, the various Al Qaeda/ ISIS terrorist cells - supported covertly by Western intelligence - are the instruments of a diabolical and criminal propaganda operation which consists in killing innocent civilians with a view to providing legitimacy to the instatement of police state measures allegedly in support of democracy. These false flag attacks allegedly perpetrated by terrorist organization are then used to harness Western public against Muslims. The underlying objective is to wage a an illegal war of conquest in the Middle East and beyond under the banner of the "global war on terrorism". According to Western politicians, "we are defending ourselves against the terrorists". According to our governments, the bombing raids allegedly directed against the terrorists in Syria are "not an act of war", they are presented to Western public opinion as an "act of self-defense". "The West is under attack by the ISIS terrorists", the ISIS is based in Raqqa, Northern Syria, "we must defend ourselves" by bombing ISIS. We are told that this is not an act of war, it is an act of retribution and self-defense. The only problem with this propaganda op is that "The Terrorists R US", our governments and intelligence services have been supporting ISIS from the very outset. In the eyes of public opinion, possessing a "just cause" for waging war is central. A war is said to be Just if it is waged on moral, religious or ethical grounds. Muslims within Western countries are being vilified as part of an imperial agenda, as a means to justify the destabilization of Muslim countries on humanitarian grounds (e.g. Iraq, Syria, Libya, Nigeria, Yemen). America is waging a holy crusade against Muslims and Muslim countries. The "war on terrorism" purports to defend the American Homeland and protect the "civilized world". It is upheld as a "war of religion", a "clash of civilizations", when in fact the main objective of this war is to secure control and corporate ownership over the region's extensive oil wealth. Throughout history, vilification of the enemy has been applied time and again. The Crusades of the Middle Age consisted in demonizing the Turks as infidels and heretics, with a view to justifying military action. Demonization serves geopolitical and economic objectives. Likewise, the campaign against "Islamic terrorism" (which is supported covertly by US intelligence) supports the conquest of oil wealth. Muslims are equated with terrorists: Islamophobia serves to wage nationwide campaigns against Muslims in Europe and North America. It is an instrument of war propaganda used to degrade the history, institutions, values and social fabric of Muslim countries, while upholding the tenets of "Western democracy" and the "free market" as the only alternative for these countries.